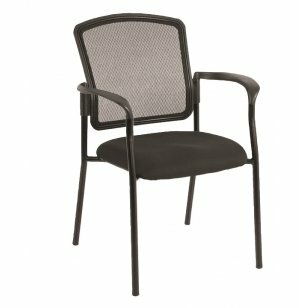 Whether you are meeting with a customer, client or colleague, this classy mesh guest chair will make your visitors feel welcome. The simple, yet elegant design will look great with any office style. A breathable black mesh back promotes healthy airflow throughout the day, so your visitors can sit back and focus on the task at hand. This office side chair has a supportive, minimalist design. 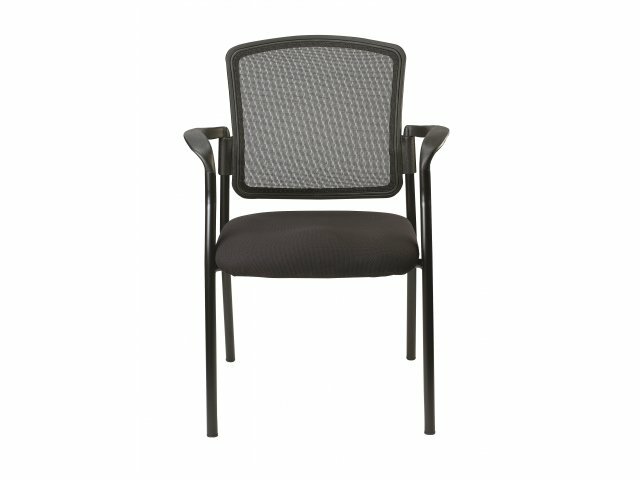 Comfortable armrests allow guests to find a healthy position. 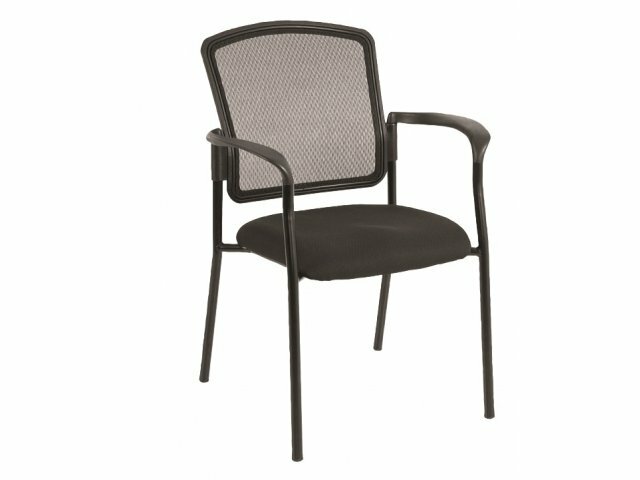 For convenient transport and storage, these guest chairs stack up to four high. That makes them a smart choice for temporary seating, flexible setups and more permanent arrangements. Versatile: Understated black design is perfect for any work space. Healthy Airflow: Breathable mesh back keeps your guests cool while you meet. 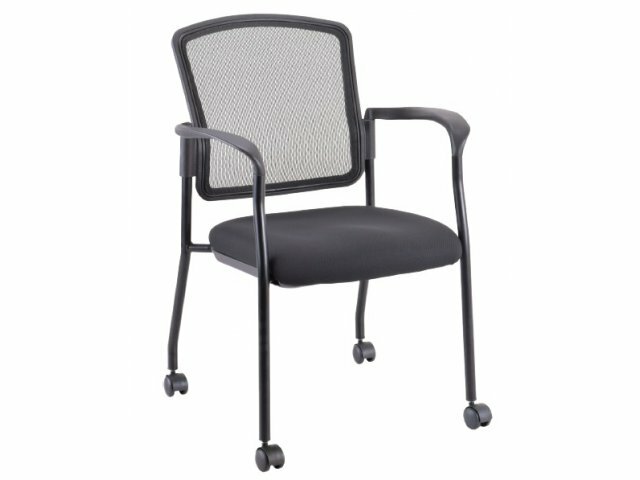 Comfortable Design: Supportive armrests offer enhanced comfort. Space Saver: Stacks 4 high for easy transport and storage.